We have exciting news! 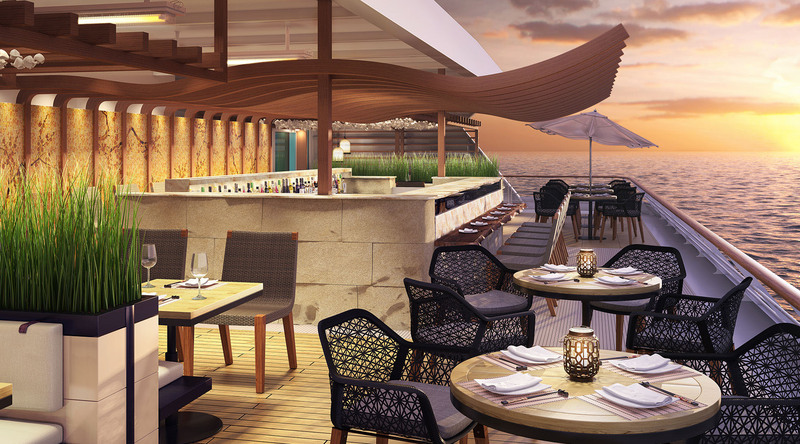 Azamara Journey® and Azamara Quest® will undergo major enhancements in 2016. From bow to stern, our two award-winning ships will be getting complete makeovers. We know our guests love the destination-immersive experience Azamara's known for, and they #LoveTravel. We're bringing that love of travel onboard, with designs inspired by the lands, rivers and beaches we visit. You can expect to see a tasteful blend of contemporary and traditional, updated technologies, upgraded suites and staterooms, and exciting enhancements to our restaurants, spa, entertainment areas and public spaces. We'll be sharing news, image renderings, photos and more along the way. Make sure you've Liked our Facebook page so you don't miss a thing. On our website, we'll be rolling out more information all summer and fall. Azamara guest satisfaction feedback is consistently averaging at nearly 100%, but that's not stopping us from raising the bar even higher. We can't wait for you to experience the next level! Click here to view our 2015, 2016 and 2017 itineraries - it's time to plan the best vacation you've ever had.